Bring Your Adventure (BYA) Sports is recalling nearly 6,700 Skyline zipline kits in the U.S. and Canada. A crimp in the zipline can fail allowing the cable to pull free or become slack while in use, posing a fall hazard to the user. The Consumer Product Safety Commission and the firm have received nine reports of cable failure, including six reports of injuries. In three of the reported incidents, consumers sustained bruising and other unknown injuries from a fall. In the remaining three reported incidents, consumers reported head injuries. This recall involves BYA Sports Skyline backyard zipline kits sold in 60-, 75- and 90-foot cable lengths. The kits were sold in camouflage packaging containing a main cable, trolley, short cable, turnbuckle and u-clamps. The following bar codes are found on the bottom left side of the packaging: 7456111220012 (60-ft.), 7456111220029 (75-ft.), and 7456111220036 (90 ft.). 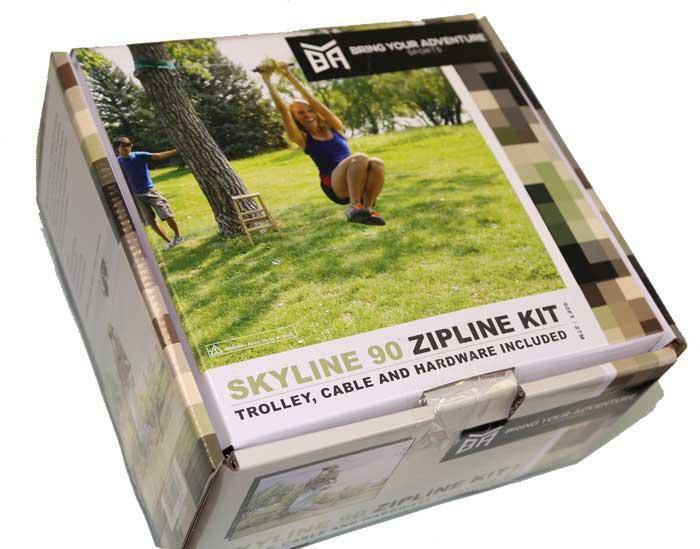 The BYA logo and “Skyline (60, 75 or) 90 Zipline Kit” are printed on the front of the packaging. The zipline kits, manufactured in China, were sold at REI and other sporting goods stores nationwide and online at promotive.com from August 2013, through July 2015, for between $100 and $130. Consumers should immediately stop using the recalled zipline kits and contact BYA Sports for a free replacement kit. Consumers may contact BYA Sports collect at 303-443-0163 from 8 a .m. to 5 p.m. (MT) Monday through Friday, or online at http://www.byasports.com/safety-recall.html for more information.